This is an excerpt from Critical Perspectives on Migration in the Twenty-First Century. Download your free copy here. Huysmans (2006) argues that the process of securitising migration is comprised of three themes: internal security, cultural identity and welfare. These three themes are not only evident internationally (Bosworth and Guild 2008) but have been central to Greek immigration (detention) policy since the early 1990s, when the sudden influx of – mostly undocumented – migrants sparked the adoption of restrictive state policies and a rapid increase in anti-immigration attitudes (Karyotis 2012). The public discourse on mobility in Greece has become marked by a toxic combination of internal securitisation and racism, as politicians of all parties raise concerns about links between the undocumented, rising crime, urban degradation and widespread hardship. Immigration, moreover, is characterised as a challenge to conceptions of Greek national identity in public perception, too, thus explaining the continuing rise of xenophobia and anti-immigrant rhetoric (Voutira 2013). Immigration, finally, has traditionally been seen as threatening the welfare of Greek citizens in austerity-ridden Greece (Karamanidou 2016). In tandem with hostile representations of immigrants and refugees has been the evolution of Greek immigration policies, which have mainly been dealing with immigration as a necessary evil (Triantafyllidou 2009). Hence it is clear that ‘the securitisation of migration has both explicitly and implicitly made borders more selective and targeted in their policing of irregular migrants‘ (Gerard and Pickering 2013). In this context, irregular entry in Greece is a crime in itself, punishable with at minimum a three-month imprisonment and a fine of no less than 1,500 euros [Greek Law 3386/2005, Art. 83(1)]. However, this form of punishment is rarely enforced. Instead, the blanket administrative detention of all irregular migrants that have either crossed irregularly or remained in Greece without a legal status has taken place across the country for a number of years (Triantafyllidou et al. 2014); punishment in relation to border control is not explicit but is enacted through administrative policies and practices (Bosworth and Guild 2008; Gerard and Pickering 2014). This goes hand-in-hand with Greece’s policy of deporting unwanted population from its territory. Indeed, for far too long, Greece has sought to reduce rates of irregular immigration by relying increasingly on detaining and deporting the immigrant ‘other’ (Furman et al. 2016). Despite growing evidence that these policies have never borne the intended results, they have been excessively employed to the detriment of human lives (Angeli et al. 2014) with the pretence of these policies being the result of the hospitable feelings of the Greek people. The Greek notion of hospitality (filoksenia) has more than often appeared in official rhetoric as a national virtue and a generous offer to irregular migrants in order to refute numerous accusations regarding the conditions in the country’s detention centres (Rozakou 2012). ‘[This is] a project that makes us proud of the level of filoksenia (hospitality) that our country offers to illegal immigrants who stay here until their return to their country of origin‘, said then Minister of Public Protection, Prokopis Pavlopoulos, at the inauguration of a detention centre on the island of Samos (Rozakou 2012). In the same line of thought, pre-removal detention centres have been euphemistically called ‘closed hospitality centres’ (Hellenic Republic 2012). More recently, the Greek government has built hotspots on five islands (Samos, Chios, Lesbos, Kos, Leros) at the sea border between Turkey and Greece, which deal with large influxes. The hotspots were ordered by the European Union (EU) to manage exceptional migratory flows. However, when the Greek Defence Minister, Panos Kammenos, announced their long-stalled creation, he claimed that they were ready to ‘function and welcome refugees‘ (Ekathimerini 2016). Refugees and migrants, though, feel nothing like welcome. Instead, there are a number of human rights organisations’ accounts that report hopelessness and despair (Human Rights Watch 2016; Amnesty International 2016). Does this constitute a hospitality crisis? Or has the rhetoric around hospitality been employed purely to reaffirm state sovereignty through the ultimate control of the ‘other’ in immigration detention centres? Prompted by these questions, this chapter will attempt to lay out the primary characteristics of the Greek detention system over the past few years (for more on this see Bosworth and Fili 2015). In doing so, it will claim that detention practices have been legitimated through interlinked discursive strategies: a narrative of deterrence; the rationalisation of deportation as an opposition to the imagery of invading hordes and hungry masses; and the denial of both policies’ racialised nature. For a number of years, detention was Greece’s main policy in the management of irregular arrivals (Triantafyllidou et al. 2014). It was predicated upon two simple ideas. The first one was the narrative of deterrence, signalling at the same time an investment in safeguarding Greece’s porous borders and a focus on ‘humanely acceptable deficiencies in detention centres’. Internationally, the securitisation of migration applies theories of deterrence in attempts to control and influence the mobility of irregular migrants. Migration, in this context, is constructed as a rational choice to be ‘deterred by rapidly expanding preventative infrastructures’ (Bosworth and Guild 2008, 711). Indeed, in 2012, the Greek government completed a 10.5km fence along the most transited part of its land border with Turkey, and deployed almost 2,000 additional border guards (Pallister-Wilkins 2015). The measures proved effective in discouraging immigrants or smugglers. However, it redirected the flows back to the Greek islands increasing the death toll in the Aegean. In addition to hardening the external border, resourceful Greek police and coastguard have employed over the years, a number of pre-emptive measures to control movements across the borders with neighbouring Turkey, including illegal deportations and pushbacks. Required to secure its border with Turkey on behalf of all of Europe, Greece did so under conditions of financial privation and surging xenophobia, without contravening the human rights standards expected of EU members. ‘We have to make their lives miserable, otherwise they will be under the impression that coming to Greece they will be free to do what they want‘, the Head of Greek Police advised his officers (Demetis 2016). From this view, faced with the prospect of prolonged stays inside a Greek detention centre under deplorable conditions, irregular migrants will be discouraged from making the perilous journey to Greece. Indeed, as a number of legal rulings and non-governmental organisation (NGO) reports made quite clear, many of the Greek facilities fail to meet basic standards of care and are mainly defined by arbitrariness, sheer overcrowding and poor conditions (European Committee for the Prevention of Torture and Inhuman or Degrading Treatment of Punishment (CPT) 2012; Human Rights Watch 2008; Amnesty International 2010 and 2012; Médecins Sans Frontières (MSF) 2014). The current so-called ‘refugee crisis’ that has played out in the Aegean as the main gateway to Europe, however, proves that any focus on deterrence, either in the form of fencing and gatekeeping (Triantafyllidou and Ambrosini 2011) or by making detention facilities unliveable, is wilfully ignorant of the kinds of factors propelling people to move in the first place and, thus, completely ineffective. The second legitimating basis for detention was deportation. As former Minister of Citizen’s Protection, Nikos Dendias, stated: ‘Our aim is that every illegal migrant, unless the competent authorities decide that he is entitled to international protection, will be detained until he is returned to his home country‘ (Ministry of Citizen Protection 2013). In this line of thought, the detention infrastructure formed the linchpin for the successful implementation of returns. 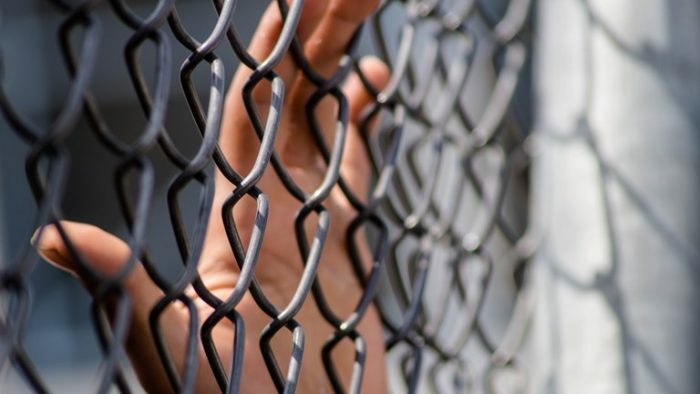 This was further supported by an advisory opinion of the Greek Legal Council that allows authorities to prolong detention beyond the 18-month limit until the detainee has consented to be returned (European Council on Religion and Ethics (ECRE) 2014). Under this framework, Greece launched a massive operation to arrest and detain all irregular migrants in the Greek territory, ironically labelled ‘Operation Xenios Zeus’, referring to the ancient Greek God Zeus to once again symbolise hospitality to and patronage of foreigners (Human Rights Watch 2013). Once the number of arrestees started exceeding the number of places available, the government engaged in a large-scale investment in pre-removal detention establishments to increase the return rate. Nonetheless, the policy proved to be far from successful. In fact, between 2008 and 2013, Greece issued 491,411 orders to leave, of which only 24.5 per cent on average were enforced. These orders are rarely enforced with a judicially approved deportation proceeding because most irregular migrants lack the travel documents to leave the country legally. In 2014, in the midst of its worst economic crisis and given the extreme costs of forced returns (Ageli et al. 2014), the Greek government ceased all deportations. However, this was not accompanied by a reduction in the number of detainees as one would expect; in fact, the detainee population continued to increase (Asylum Information Database (AIDA) 2015). Arguably, then, the Greek detention policy has been based on a flimsy foundation, as the Greek state has managed neither to curb arrivals nor remove the undesirable population. Nevertheless, detention practices, employed in the most capricious and arbitrary manner (Majcher and Flynn 2014), remained unchallenged, highlighting their deeply racialised nature (Bosworth et al. forthcoming). ‘The migrant from the ex-Soviet Union that goes to Sweden has some kind of level. Greece gets migrants from Bangladesh, Afghanistan who have a different culture; they belong to a different world. That’s our misfortune‘ (Ekatihimerini 2014), exclaimed former Minister of Public Protection, Nikos Dendias, about the quality of detainees. Similarly, a detention officer at Petrou Ralli detention centre claimed in response to a question about women detainees: ‘They are not able to freely move around, they can’t talk to anyone, they just come to Greece and become slaves. So in a way in here [detention centre] they have a better life, because we feed them and provide them with accommodation.‘ Hence, detention is heavily invested in ‘civilising’ tropes and gendered moralities. It provides another, potent opportunity not only to reject, but to demean and diminish racially othered peoples. In this kind of discourse, the provision of ‘shelter’ to undocumented migrants by the Greek state was considered as a marker of a civilised state (us) pitted against uncivilised masses (them) (Bosworth et al. forthcoming 2018), a timeless persuasive technique that helps define any issue in security terms (Karyotis 2012). In this context, there were frequent announcements about pending reforms aimed at increasing the detention estate, which all the same was not a small one to begin with. Up until 2015, there were 9 pre-removal/detention centres, two screening centres in Samos and Chios in the Aegean, two first reception centres in Orestiada on the mainland border with Turkey and Lesbos at the sea border with Turkey, in addition to a number of border guards and police stations, with a known capacity for around 5,000 (Majcher and Flynn 2014). The growing activist movements against detention, racism and fascism, though strong, could not reach beyond their own circles, which did not yet have any political capital. The paradox of the Greek detention policy was not lost on detainees either. ‘We are buried alive here. This is like a mass grave … but we are not animals, we are humans and we have human rights, no?’ male detainees at the Athens International airport detention facility pronounced firmly (Fili 2013). In this framework, forms of resistance flourished. In some instances, it was spontaneous, triggered by an incident of violence, and in others it was organised in advance. Detainees often engaged in hunger strikes and self-harm. Others issued statements, with the support of human rights organisations, against detention practices (Infomobile n.d.). The voices that demanded a change in the detention system grew stronger every day. In February 2015, the new left-wing government assured Greek citizens that immigration detention centres belonged to the past, committing to its election pledge to reverse anti-immigrant policies of the previous right-wing government (AIDA 2015). To this effect, it formed a new Immigration Policy Ministry under the Ministry of Internal Affairs. At a visit to the infamous Amygdaleza pre-removal detention centre (Angeli and Triantafyllidou 2014), following the suicide of a Pakistani detainee, then Deputy Minister of Citizen’s Protection, Yannis Panousis, said ‘I am here to express my embarrassment. We are done with detention centres’ (Ekathimerini 2015). Indeed, in March 2015, the government started evacuating this centre at a rate of 30 migrants per day (Chrysopoulos 2015), amid great fanfare about the humanitarian face of the new era and, to its credit, despite fervent opposition not only by other parties but also by local residents. The aim was to close down the centre within 100 days, and other centres as soon as possible. It was a moment much celebrated by NGOs and human rights organisations, as this was the first time a member of a Greek government spoke openly about what was going on inside detention facilities (Kathimerini 2015). The Greek government’s plan was further accompanied by the announcement of a range of measures that presented an important step towards reducing the use of immigration detention in Greece (Ministry of Citizen Protection 2015). The announcement included the revocation of the Ministerial Decision allowing for detention beyond 18 months, and the immediate release of persons concerned. Furthermore, action would be taken in order to put in place open reception centres instead of detention facilities. The announcement also noted that alternatives to detention would be implemented for the first time, the maximum period of detention would be limited to six months, and persons belonging to vulnerable groups as well as asylum seekers would be immediately released. Indeed, in the following months, the detained population shrunk from around 7,000 to a few hundred (Aitima 2016). A year later, in March 2016, pre-removal detention centres were back again reaching their full capacity, and Greece was fast becoming a containing space of the thousands of refugees trapped in its islands and mainland (Aitima 2016). How can this turnaround be explained? In June 2015, at the same time as the Greek government was negotiating a new bail out deal with Europe, there was a general understanding that the boats would not stop coming. Indeed, over the summer of 2015, the numbers escalated, reaching their peak in October with 218,394 new arrivals (United Nations High Commissioner for Refugees (UNHCR) n.d.a.). However, the government did not have the resources to deal with the enormous task of registering and managing the incoming population. For example, during the summer there were only four representatives of the First Reception Service to register new arrivals on Lesbos, the island which received thousands per day (UNHCR n.d.c.). In an attempt to put more pressure on the EU to pour in more funds, members of the government threatened to unleash a wave ‘of millions of economic migrants’ on Europe unless the EU helped Greece financially (Waterfield and Bruno 2015). Unofficially, though, the wave-through approach had already started. Operating in a state of legal limbo and with an overwhelmed system, due to severe staff shortages, Greek officials neither registered nor fingerprinted most of the new arrivals (Greek Council for Refugees 2015). Near the end of the summer, the police that were responsible for managing the closed reception centres on the islands opened the gates due to their incapability to provide food to all the detainees. Rather than trying to impede movement like in the past, the focus was now on speeding up the flow to avoid congestion on the islands. Hence, the number of immigrant and asylum seeker detainees remained very low. The Greek government did not just turn a blind eye to this practice, but was actively involved by chartering ferries to take people from the islands where they land (Spathopoulou 2016), to Athens and buses to take them to train stations so they could continue their journey to Northern Greece. The idea was that they would eventually leave Greece to reach their desired destinations. However, in lack of a sustainable plan, this resulted in refugees and migrants congregating in squares in Athens, where the number of people sleeping rough swelled dramatically. The huge makeshift camp in Idomeni, Greece’s border with the Former Yugoslav Republic of Macedonia (FYROM), which the Greek Interior Minister, Panagiotis Kouroumblis, called ‘modern-day Dachau’ (Worley and Dearden 2016), was constructed by the Doctors Without Borders (Médecins Sans Frontières) and other NGOs to hold those who were waiting to cross the border to continue their journeys through the Balkans to Northern Europe. However, the idea of people being waved through was not welcomed by the countries on the receiving end of the flow (European Commission 2016b), isolating Greece from its neighbouring countries, as evidenced by its exclusion from the Visegrad and Austria summit which were convened to discuss the handling of the ‘refugee crisis’ (Deutsche Welle 2016). The message from this summit was clear: Greece is responsible to stop the flow, otherwise plans will be enforced to tighten border controls, including closing borders, on the Balkan route. The European agenda for immigration, thus, focused on deterrence at all costs, and greater mobilisation of border control. Drawing on this, the European Commission developed the idea of the ‘hotspot approach.’ (European Commission n.d.). The aim was to help slow the flow of migrants heading to the north, and mitigate security risks by swiftly identifying, registering, and fingerprinting all arrivals in Italy and Greece, as ‘hotspots’ were considered key to securing the EU’s external borders (European Commission 2016c). Furthermore, in late January, the EU gave Greece a three-month ultimatum to stop migrants crossing from Turkey, or else the country would be banned from the borderless Schengen area (European Commission 2016b). Austria and several Balkan countries were determined to stop migrants passing through by building rows of fences, and FYROM sealed its southern border with Greece. With the end of the wave-through approach, thousands of migrants were stranded in Greece. Amid EU pressure to deal with mass mobility, and with just few of the resources pledged by the EU actually coming through, the available evidence shows that confinement and detention are once again employed as an accommodation strategy for the rising number of refugees and migrants. In the beginning of 2016, the government started detaining nationals of North African countries followed by nationals of Pakistan and Bangladesh, separating once more between bona fide refugees and economic migrants (Aitima 2016). At the same time, the authorities started to arrest nationals of other countries, including Afghans, holding expired police documents. In a just a few months, the number of detainees increased significantly (Aitima 2016). In February 2016, the five long-delayed ‘hotspot’ centres opened on the islands of Lesbos, Chios, Leros, Samos, and Kos in order to cope with a relentless flow of people landing from Turkey (Antonakaki et al. 2016). Under the EU-Turkey deal, which came into force on 20 March 2016, people arriving on the Greek islands are immediately detained for 20 days in these hotspots in order to be individually assessed by the Greek authorities. Following the 20 days’ period, they are released but have to remain on the island, thus further restricting their movement. Anyone who does not apply for asylum will be sent back to Turkey, as will anyone whose claim is rejected. Implementation of the deal has presented Greece with two challenges: first, the legal challenge of presenting Turkey as a safe ‘third country’ in order to expedite returns. Second, to separate between those already trapped in Greece and new arrivals, as the fate of the former group is not addressed by the deal. As for the former, the Greek government amended its asylum legislation in a fast-track legislative procedure to modify the structure of the Asylum Appeals Committees, raising concerns about the independence and impartiality of the new body (for more on this see Gkliati 2016). The latter challenge was addressed by emptying Greek islands of all those who crossed over from Turkey prior to the deal and transforming the much vaunted open hotspots into massive police-run detention centres to host newcomers. The amended legal framework of first reception procedures (3907/2011) further clarifies that migrants are subject to restriction of freedom of movement within the premises of these centres. Within a few months, Greece was transformed from a fast lane to a grim waiting room. At the moment, there are more than 50 emergency reception sites and five hotspots, as well as a number of informal sites, spread all over Greece, operating with capacity for around 60,000 people (UNHCR n.d.a). In addition to these new facilities, Greece continues to use a number of pre-removal detention centres, older dedicated detention facilities, and numerous border guard and police stations. For example, pre-removal detention centres like Amygdaleza and Corinth, the closure of which was celebrated in the presence of the media at the beginning of the government’s term of office, have now been re-opened. According to a report released in October 2016 (Aitima 2016) drawing on a project that involved monitoring visits to detention centres in Greece, there are still long-standing systemic problems, no different to what human rights organisations have castigated Greece for in the past. In fact, they arise from a well-known mixture of pleasing the EU, appeasing their native citizens, and attempting to deter prospective arrivals. Based on 31 monitoring visits to detention centres conducted over one year, the analysis of 277 individual cases and interviews with competent authorities the research team observed, among others, the use of inappropriate detention areas, lack of outdoor time, recreational activities and interpretation services, inadequate healthcare, social and psychological support, detention of minors and seriously ill persons and the sheer lack of information regarding the case. Furthermore, Amnesty International at a press meeting in October 2016 claimed that detention conditions on the islands are purposefully bad to deter prospective arrivals, alluding to former practices described above (Huffington Post Greece 2016). Refugee camps, too, are full or host to a range of problems. Almost half of the new sites were created in under ten days, some in very remote locations with little to no access to legal aid, limited access to services and support, and hardly any information offered about their status. Conditions in most open centres fall below international humanitarian standards, to the point where some have been characterised as even ‘unfit for animals’ (Human Rights Watch 2016). What is more, access to asylum is severely impeded. The Greek army has played a lead role in setting up most of the facilities covering mainly catering services, receiving complaints not just about the quality of the food but also due to the rumours of corruption following the deals made with the catering companies. All the above have long been a source of intense criticism from both domestic and international observers, as well as the subject of numerous cases at the European Court of Human Rights. What is relatively new, however, is the level of advanced confusion that is taking shape on the ground, reflecting the confused and improvised nature of reactive (EU) immigration policies and their implementation. Who is detained, where, for what reasons, and for how long, are issues that no one knows. Your quality of life depends on where you have been placed, and where you have been placed is down to luck. It is also unclear as to which part of the government is responsible for running open and closed facilities. Even the Action Plan presented by the Greek authorities in the beginning of March 2016 lacks information on the authorities responsible for the implementation of certain actions and for monitoring the implementation of those actions (European Commission 2016a). While not all facilities used to confine people at the moment are detention centres per se, the line between open accommodation and confinement often becomes difficult to draw in practice. The spatial logic of refugee camps being as remote as possible (Zeveleva 2017), together with severely restricted access to the asylum process in these places, render most people inside them immobile in overcrowded and unhygienic conditions. Still, refugees are not only stuck inside camps; under the EU-Turkey deal and in view of walls being literally and metaphorically built across Europe they are also physically prevented from leaving Greece. As this form of containment is neither reasonable nor proportionate to a government objective, because these people cannot be expelled, it can be argued that, in essence, the government resorts to arbitrary and illegitimate detention of refugees on Greek soil. As a recent report by the European Council on Refugees and Exiles argues, there is little official clarity as to what can be presented as detention facilities or reception structures in Greece (ECRE 2016). It is explained that the highly misleading representation of the country’s reception capacity, including detention places, can be attributed to the effort to reach the EU target of 30,000 reception places and satisfy other Member States. At the same time, the number of detainees is wrongly presented as smaller than the actual one, failing to include the number of people detained in hotspots. This is further reflected in another report by the Global Detention Project (2015), which aimed to obtain a true picture of the number of migrants and asylum seekers being held in detention around the world. Greece failed to provide complete information on the names and locations of detention centres and offered invalid answers to questions about the number of (asylum seeker) detainees and the number of minors in detention. Greek authorities did not include the many police stations, where migrants are known to be detained, thus, invisibilising a great number of detainees and directed the researchers to a website that contains limited information in order to avoid directly responding to questions (Hellenic Police n.d.). In effect, Greece’s detained migrants are going uncounted and hence unaccounted for. For a number of years, the Greek government blamed the lack of infrastructure, organisation, capital and the intrinsic pressures of its geographical position for Greece’s difficulty in managing borders and effectively dealing with migrant populations. The narratives of crises, which have been employed since 2009, only grant moral legitimacy to Greece’s continued political, legal, and financial margin within Europe (Mantanika 2014). In this context of yet another crisis, Greece soon became a space of humanitarian intervention where governmental and nongovernmental, security, humanitarian and human rights actors co-operate to respond to ‘humanitarian crises’. In a situation of endless emergency, people on the move were kept apart and out of sight, while the care dispensed was designed to control, filter and confine. With a floundering political leadership, unable to find solutions to anything at all, and with a downward spiralling economy and pressure from the EU to employ mechanisms of repressive immigration control, it comes as no surprise that the Greek government succumbed to models of encampment and abandoned its humanitarian and leftist ideals that were its flagship for almost a year ago. While some remodelling has been observed recently, this chapter argues that containment practices of immobility in Greece are enduring in time and employed by all governing parties. ‘This refutes a left-right dichotomy and points to the racialised dynamics of immigration control, informed by dominant and shared discourses of securitization and illegalization of migrants‘ (Karamanidou 2016). As the Minister of Immigration Policy, Giannis Mouzalas, asserted ‘there can be no immigration policy without closed hospitality centres‘ (Georgiopoulou 2016) allegedly to reduce criminal rates among immigrants and asylum seekers. What lies ahead for the migrants and refugees who arrive on Greece’s shores remains to be seen; yet, the reality on the ground points to a looming bleak future that will focus on the expansion of containment practices. In January 2017, the government, in the spirit of the EU-Turkey deal, announced the construction of new closed detention centres for the arriving population that does not conform to a refugee profile. The multiple crises that Greece is dealing with have fallen from view in the rest of Europe. It is now time to raise our voices for the people who have an inalienable right to live somewhere safely. For a discussion on how the securitisation of immigration was hijacked by the far right see Lazaridis and Skleparis 2015. In the study of people who cross borders extra-legally, defining ‘the immigrant’ is a process of exclusion or inclusion enacted by states, often involving racial ‘othering’ (Kofman et al. 2000, 8; Mountz 2010). There have been a number of studies in Australia (Grewcock 2009) and in the US (Bosworth and Kaufman 2011), that point to the fact that the treatment of immigrants and asylum seekers reflects entrenched cultural and political xenophobic othering. When asked about the living conditions of Amygdaleza detention centre, Mr. Dendias, the Minister of Public Protection was clear: ‘We make sure we follow European standards. However, conditions are not ideal, this is not a hotel. The logic is that ‘humanely acceptable deficiencies’ will force irregulars out of Greece’ (Autopsia 2012). At a time of severe cuts in public spending, Greece completed the construction of the fence with national funds because the European Commission denied money and support for the project. In 2015 the UN refugee agency declared an emergency inside the EU, and the EU deployed its own humanitarian response unit inside Europe for the first time. Xenios refers to the ancient Greek concept of hospitality. See Report of the Special Rapporteur on the human rights of migrants, Mission to Greece, 18 April 2013. The interview was conducted by the author under the project ‘Border Policing: Gender, Human Rights & Security’ funded by the Australian Research Council. This is mainly based on anecdotal evidence drawn from my experience as an NGO worker at the time. It is important to note that the borders for nationalities other than Syrians, Afghans and Iraqis closed on December 2015 and the borders for Afghans closed on February 2016. Migration ministry bulletins list 39 camps, some of which are empty; others are mothballed and others still are in the planning phase but do not appear on the list (Howden and Fotiadis 2017). $74 million was added to the defence ministry budget for refugee support. This is not to say that people are discouraged from finding ways to move but that this is now more time-consuming and riddled with a number of challenges. In stark opposition to this framing refugees and migrants across Greece find ways to circumvent containment practices and, albeit in smaller numbers, manage to leave Greece. However, this means that they increasingly depend on smuggling networks and attempt risky journeys. Asylum Information Database (AIDA). 2015. “An Edn to Indefinite Immigration Detention in Greece?” 16 February 2015. http://www.asylumineurope.org/news/25-05-2017/end-indefinite-immigration-detention-greece. AITIMA. 2016. Forgotten: Administratively detained irregular migrants and asylum seekers. Athens: AITIMA. Amnesty International, Greece: Irregular Migrants and Asylum-Seekers Routinely Detained in Substandard Conditions. London: Amnesty International, 2010. Amnesty International. 2012. Greece: The End of the Road for Refugees, Asylum-Seekers and Migrants. London: Amnesty International. Amnesty International. 2016. Trapped in Greece: An avoidable refugee crisis. London: Amnesty International. Angeli, Danai and Anna Triantafyllidou. 2014. Is the indiscriminate detention of irregular migrants a cost-effective policy tool? A case-study of the Amygdaleza Pre-Removal Center. Midas Policy Brief, Athens: ELIAMEP. Angeli, Danai, Angeliki Dimitriadi, and Anna Triantafyllidou. 2014. “Assessing the Cost-effectiveness of Irregular Immigration Control Policies in Greece.” Midas Report. Athens: ELIAMEP. Antonakaki, Melina, Bernd Kasparek, and Georgios Maniatis. 2016. “Counting, Channelling, and Detaining: The Hotspot Center Vial in Chios, Greece.” Society + Space. http://societyandspace.org/2016/11/29/counting-channelling-and-detaining-the-hotspot-center-vial-in-chios-greece/. Autopsia. 2012. Alpha Channel 04th October. http://www.alphatv.gr/Microsites/Autopsia/Shows/04-10-2012.aspx. Bosworth, Mary and Mhairi Guild. 2008. “Governing Through Migration Control: Security and Citizenship in Britain.” British Journal of Criminology 48, no. 6: 703–719. Bosworth, Mary and Emma Kaufman. 2011. “Foreigners in a Carceral Age: Immigration and Imprisonment in the United States.” Stanford Law and Policy Review 22, no. 2: 429‐454. Bosworth, Mary and Andriani Fili. 2015. “Immigration Detention in Britain and Greece.” In Detaining the Immigrant Other: Global and Transnational Issues, edited by Douglas Epps and Rich Furman. Oxford: Oxford University Press. Bosworth, Mary, Andriani Fili and Sharron Pickering. 2017. “Women and Border Policing at the Edges of Europe.” Journal of Ethnic and Migration Studies. https://doi.org/10.1080/1369183X.2017.1408459. Demetis, Christos. 2013. “Αρχηγός ΕΛ.ΑΣ για Μετανάστες: ‘Να τους Κάνουμε το Βίο Αβίωτο” [Greek Police for Migrants: (We should) Make Their Lives Insufferable] News247, 20 December 2013. http://news247.gr/eidiseis/koinonia/arxhgos-el-as-gia-metanastes-na-toys-kanoyme-to-vio-aviwto.2561326.html. Deutsche Welle. 2016. “Austria Hosts Balkan Refugee Conference without Greece.” 24 February 2016. http://www.dw.com/en/austria-hosts-balkan-refugee-conference-without-greece/a-19069784. European Council on Religion and Ethics (ECRE). 2014. Weekly Bulletin of 4 April 2014. http://www.asylumineurope.org/news/07-04-2014/greek-state-legal-council-justifies-detention-pending-removal-beyond-18-month-limit. Ekatihimerini. 2014. “Dendias Criticizes Dublin Regulation, Says Quality of Undocumented Immigrants Is ‘Tragic'”. 30 January 2014. http://www.ekathimerini.com/157413/article/ekathimerini/news/dendias-criticizes-dublin-regulation-says-quality-of-undocumented-immigrants-is-tragic. Ekathimerini, 2015. “Migrant Centers to Be Shut Down After Suicide”. 14 February 2015. http://www.ekathimerini.com/167320/article/ekathimerini/news/migrant-centers-to-be-shut-down-after-suicide. Ekathimerini. 2016. “Four of Greece’s five ‘hotspot’ migrant centres ready, says Kammenos”. 16 February 2016. http://www.ekathimerini.com/206027/article/ekathimerini/news/four-of-greeces-five-hotspot-migrant-centres-ready-says-kammenos. European Commission. 2016a. Communication from the Commission to the Council: Assessment of Greece’s Action Plan to remedy the serious deficiencies identified in the 2015 evaluation on the application of the Schengen acquis in the field of management of the external border. European Commission. 2016b. Commission adopts Schengen Evaluation Report on Greece and proposes recommendations to address deficiencies in external border management. Strasbourg, 2 February 2016. https://ec.europa.eu/malta/news/commission-adopts-schengen-evaluation-report-greece-and-proposes-recommendations-address_en. European Commission. 2016c. Implementing the European Agenda on Migration: Progress on Priority Actions. http://europa.eu/rapid/press-release_IP-16-271_en.htm. European Commission. n.d. “The Hotspot Approach to Managing Exceptional migratory Flows.” https://ec.europa.eu/home-affairs/sites/homeaffairs/files/what-we-do/policies/european-agenda-migration/background-information/docs/2_hotspots_en.pdf. European Committee for the Prevention of Torture and Inhuman or Degrading Treatment of Punishment (CPT). 2011. Report to the Government of Greece on the Visit to Greece carried out by the CPT from 19 to 27 January 2011. Strasbourg: Council of Europe, 2012. Fili, Andriani. 2013. “The Maze of Immigration Detention in Greece: A Case Study of the Airport Detention Facility in Athens.” Prison Service Journal, no 205. Furman, Rich, Douglas Epps, and Greg Lamphear, eds. 2016. Detaining the Immigrant Other: Global and Transnational Issues. Oxford: Oxford University Press. Georgiopoulou, Tania. 2016. “Κλειστά Κέντρα Φιλοξενίας για Μετανάστες” [Closed Detention Centres for Migrants]. Kathimerini. 13 November 2016. http://www.kathimerini.gr/883382/article/epikairothta/ellada/kleista-kentra-filo3enias-gia-metanastes. Gerard, Alison, and Sharron Pickering. 2013. “Crimmigration: Criminal Justice, Refugee Protection and the Securitisation of Migration.” In The Routledge Handbook of International Crime and Justice Studies, edited by Bruce Arrigo and Heather Bersot. Routledge: London. Gkliatsi, Mariana. 2016. “Greece Creates New Asylum Committees after Decisions Blocking Returns Under the EU-Turkey Deal.” Leiden Law Blog. 5 August 2016. http://leidenlawblog.nl/articles/greece-creates-new-asylum-appeals-committees. Global Detention Project. 2015. The Uncounted: Detention of Migrants and Asylum Seekers in Europe. Geneva: Global Detention Project. Grewcock, Michael. 2009. Border Crimes: Australia’s War on Illicit Migrants. Sydney: Institute of Criminology. Hellenic Police. n.d. “Statistic Data on Illegal Immigration.” http://www.astynomia.gr/index.php?option=ozo_content&perform=view&id=24727&Itemid=73&lang=EN. Hellenic Republic. 2012. Press Release on the Meeting between the Political Leadership of the Ministry of Citizen Protection and the Leadership of the Hellenic Police with Representatives of Immigrant Organizations, April. Athens. http://www.yptp.gr/index.php?option=ozo_content&perform=view&id=4215&Itemid=540&lang=EN. Howden, Daniel and Apostolos Fotiadis. 2017. “The Refugee Archipelago: The Inside Story of What Went Wrong in Greece.” Refugees Deeply, 6 March 2017. https://www.newsdeeply.com/refugees/articles/2017/03/06/the-refugee-archipelago-the-inside-story-of-what-went-wrong-in-greece. Human Rights Watch. 2008. Stuck in a Revolving Door: Iraqis and Other Asylum Seekers and Migrants at the Greece/Turkey Entrance to the European Union. New York: Human Rights Watch. Human Rights Watch. 2016. Greece: Refugee “Hotspots” Unsafe, Unsanitary. New York: Human Rights Watch. https://www.hrw.org/news/2016/05/19/greece-refugee-hotspots-unsafe-unsanitary. Huffington Post Greece. 2016. “Διεθνής Αμνηστία: Οι συνθήκες διαβίωσης των προσφύγων παραμένουν σκόπιμα άσχημες. Το θέμα είναι πολιτικό και όχι οικονομικό” [Amnesty International: Refugees’ Living Conditions Deliberately Remain Bad]. 18 October 2016. http://www.huffingtonpost.gr/2016/10/18/metanasteutiko_n_12540288.html. Huysmans, Jef. 2006. The Politics of Insecurity, Fear, Migration and Asylum in the EU. London: Routledge. Karamanidou, Lena. 2016. “Violence against Migrants in Greece: Beyond the Golden Dawn.” Ethnic and Racial Studies 39, no. 11: 2002–2021. Kofman, Eleonore, Annie Phizacklea, Parvati Raghuram and Rosemary Sales. 2000. Gender and International Migration in Europe. London: Routledge. Karyotis, Georgios. 2012. “Securitization of Migration in Greece: Process, Motives, and Implications.” International Political Sociology 6, no. 4: 390–408. doi: 10.1111/ips.12002. Kathimerini. 2015. “Ριζικές Αλλαγές στα Κέντρα Κράτησης Ανακοίνωσαν Πανούσης-Χριστοδουλοπούλου” [Panousis-Christodoulopoulou Announced Fundamental Changes to Detention Centres]. 17 February 2015. http://www.kathimerini.gr/804014/article/epikairothta/politikh/rizikes-allages-sta-kentra-krathshs-anakoinwsan-panoyshs-xristodoylopoyloy. Lazaridis, Gabriella and Dimitris Skleparis. 2016. “Securitization of Migration and the Far Right: The Case of Greek Security Professionals.” International Migration 54, no.2: 176–192. doi:10.1111/imig.12219. Majcher, Izabella and Michael Flynn. 2014. Immigration Detention in Greece. Geneva: Global Detention Project. Mantanika, Regina. 2014. “Confinement Practices Of Undocumented Migrants At The Borders Of Europe. The Case of Greece.” In The EU, Immigration and the Politics of Imimmigration Detention, edited by Michella Ceccorulli and Nicola Labanca, 109–127. Abingdon and New York: Routledge. Médecins Sans Frontières (MSF). 2014. Invisible Suffering: Prolonged and Systematic Detention of Migrants and Asylum Seekers in Substandard Conditions in Greece. Athens: MSF. Ministry of Citizen Protection. 2013. “Press Release.” 11 August 2013. http://www.yptp.gr/index.php?option=ozo_content&lang=GR&perform=view&id=4736&Itemid=579. Ministry of Citizen Protection. 2015. “Press Release.” 17 February 2015. http://www.mopocp.gov.gr/index.php?option=ozo_content&lang=&perform=view&id=5374&Itemid=607. Mountz, Alison. 2010. Seeking Asylum: Human Smuggling and Bureaucracy at the Border, Minneapolis: University of Minnesota Press. Pallister-Wilkins, Polly. 2015. “The Humanitarian Politics of European Border Policing: Frontex and Border Police in Evros.” International Political Sociology 9, no. 1 53–69. Rozakou, Katerina. 2012. “The Biopolitics of Hospitality in Greece: Humanitarianism and the Management of Refugees.” American Ethnologist 39, no. 3: 562–577. Spathopoulou, Aila. 2016. “The Ferry as a Mobile Hotspot: Migrants at the Uneasy Borderlands of Greece.” Society and Space. http://societyandspace.org/2016/12/15/the-ferry-as-a-mobile-hotspot-migrants-at-the-uneasy-borderlands-of-greece/. Triantafyllidou, Anna. 2009. “Greek Immigration Policy at the Turn of the 21st Century. Lack of Political Will or Purposeful Mismanagement?” European Journal of Immigration and Law 11: 159–177. Triantafyllidou, Anna and Maurizio Ambrosini. 2011. “Irregular Immigration Control in Italy and Greece: Strong Fencing and Weak Gate-Keeping Serving the Labour Market.” European Journal of Immigration and Law 13: 251–273. Triantafyllidou, Anna, Danai Angeli and Angeliki Dimitriadi. 2014. Detention As Punishment: Can Indefinite Detention Be Greece’s Main Policy Tool To Manage Its Irregular Migrant Population? Midas Policy Brief. Athens: ELIAMEP. UN Human Rights Council. 2013. Report of the Special Rapporteur on the human rights of migrants, Addendum: Mission to Greece, 18 April 2013, A/HRC/23/46/Add.4.http://www.refworld.org/docid/51b983ab4.html. United Nations High Commissioner for Refugees (UNHCR). n.d.b. “Snapshot Greece statistics” United Nations High Commissioner for Refugees. https://data2.unhcr.org/en/documents/details/46440. United Nations High Commissioner for Refugees (UNHCR). n.d.c. “Snapshot Lesbos Statistics.” United Nations High Commissioner for Refugees. https://data2.unhcr.org/en/documents/details/46441. Voutira, Eftihia. 2013. “Realising ‘Fortress Europe’: ‘Managing’ Migrants and Refugees at the Borders of Greece.” Social Sciences Review 140/141: 57–69. Waterfield, Bruno. 2015. “Greece’s Defence Minister Threatens to Send Migrants Including Jihadists to Western Europe” The Telegraph. 9 March 2015. http://www.telegraph.co.uk/news/worldnews/islamic-state/11459675/Greeces-defence-minister-threatens-to-send-migrants-including-jihadists-to-Western-Europe.html. Worley, Will and Lizzie Dearden. 2016. “Greek Refugee Camp Is ‘As Bad As a Nazi Concentration Camp’, Says Minister” The Independent. 18 March 2016. http://www.independent.co.uk/news/world/europe/idomeni-refugee-dachau-nazi-concentration-camp-greek-minister-a6938826.html. Zeveleva, Olga. 2017. “Biopolitics, Borders, and Refugee Camps: Exercising Sovereign Power Over Nonmembers of the State.” The Journal of Nationalism and Ethnicity 45, no. 1: 41–60. Andriani Fili is part of the interdisciplinary research group of Border Criminologies as managing editor of the blog and social media, and a Research Associate at the University of Oxford Centre for Criminology. She is a PhD candidate at the University of Lancaster. Her research focuses on resistance in women’s immigration detention centres in Greece. She has published on immigration detention in Greece and is currently co-editing a book on criminal justice research in an era of mass mobility.